The AVTOKOMPONENTY magazine is the first periodical that covers not separate fields of industry but all directions of the automotive market. Contemporary market players are tightly connected. That is why our professional and comprehensive approach to events, competencies in properties, features, and prices of automotive components as well as utilizing and selecting them is the distinguishing feature of this magazine. Subject surveys, analytical articles, tests, releases of freshly marketed products, as well as advice by industry professionals and car parts manufacturers – this is a non-exclusive list of what awaits you in every issue. Our magazine SPETSTEKHNIKA I KOMMERCHESKY TRANSPORT, or ST-KT, is aimed at the business community interested in relevant, comprehensive, and competent information. ST-KT is a news & analysis journal for businesses that reviews relevant segments of the automotive market. Its goals and specific features are determined by peculiarities of the two branches that it covers. Not only does ST-KT connect the manufacturer of custom vehicles and the buyer but also it is a reliable source of information when it comes to trends in the industry as a whole. The Global Automotive Components Award Choosing high-quality, reliable and suitable car parts is, oddly enough, much more difficult than choosing the car itself. As a rule, when buying a car, personal preferences are what matters most. In terms of automotive components, it is not enough if you simply like the brand. We need to take into account the totality of expert opinions on both production and utilizing by service departments and end users. Maks Media Group is a promising and dynamically developing company that promotes the AVTOKOMPONENTY magazine, the ST-KT magazine, and the annual Global Automotive Components Award. A large number of the automotive industry companies trust our team to arrange information support for the promotion of products on the market to attract new customers. Therefore, we try to comply with contemporary requirements to special-purpose publications. We strive to take part in all the largest automotive exhibitions in Russia and the CIS countries. 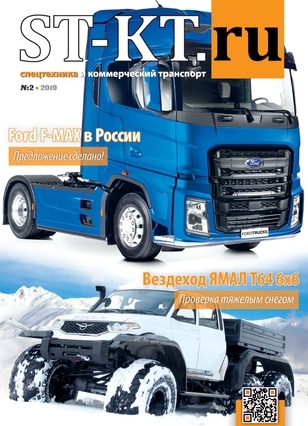 We open new headings and sections; we post opinions of independent experts and interviews with industry professionals as this allows the Maks Media Group magazines to be along the most popular automotive periodicals in Russia.